Is console gaming dead? Nope and pretty much everyone expects that both the Sony PS4 (Orbis) and Microsoft Xbox 720 (Durango) will launch this year. Although most believe Sony will be first out the gate, today the big console news is all about Redmond’s pre-holiday game console revision — are you ready for Xbox 720 specs? 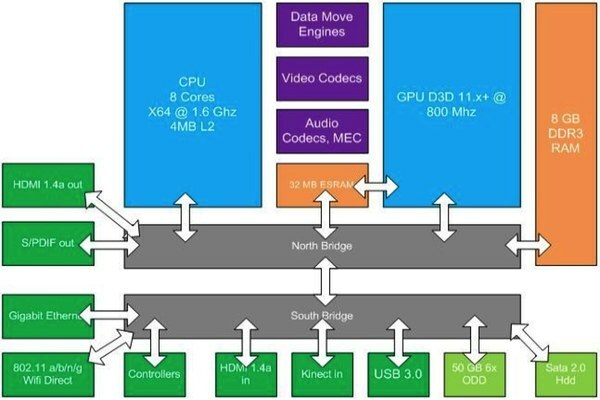 With an 8-core CPU and 8GB RAM, the Xbox 720 looks to be something of a beast. However, it is obvious that the big CPU is being balanced against a decent, but not compelling, 800MHz GPU. Do these rumored Xbox 720 specs have you drooling or are you finally done with console gaming?